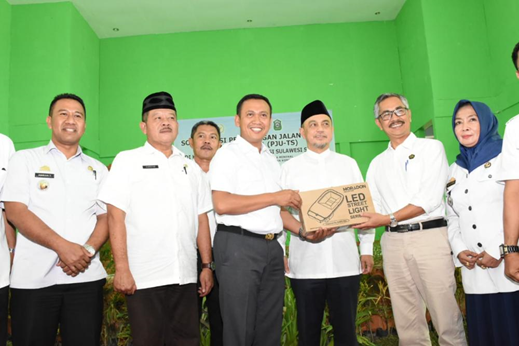 TAKALAR - The Ministry of Energy and Mineral Resources through the Directorate General of New, Renewable Energy and Energy Conservation (Directorate General of EBTKE) will build 300 points of Solar Powered Public Street Lighting (PJU-TS) in several districts in Takalar Regency, South Sulawesi. This is one of the Government's efforts in realizing fair energy and accelerating the development of EBTKE by utilizing the potential of EBT in the region. The need for PJU will continue to grow along with regional development and increasing population. Increasing the use of PJU will automatically increase electricity consumption and contribute to greenhouse gas emissions into the air. The amount of energy consumption and PJU emissions is due to the fact that most of them still use wasteful lamp technology with a relatively short service life. In addition, the majority of PLN generators that provide power to PJUs are plants that use energy sources from fossils, such as coal and fuel oil. Therefore, the use of PJU-TS is expected to be a solution to this condition. "PJU-TS utilizes the potential of solar energy that is converted into electrical energy through an environmentally friendly process because it does not produce pollution. 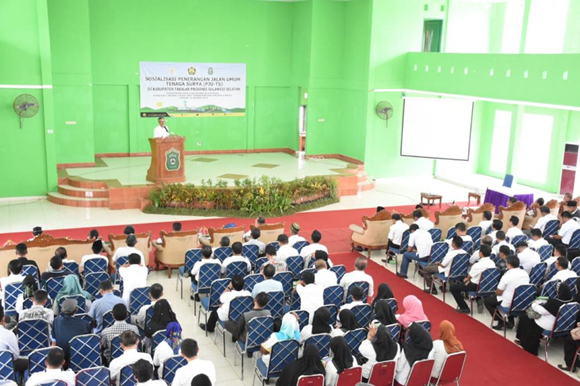 The lamps used are types of LEDs, so they are more energy efficient and have a longer service life," said Secretary of the Directorate General of EBTKE, Wawan Supriatna in his speech on the Installation of PJU-TS Installation on Wednesday (10/10) in Takalar. Wawan said that the construction of PJU-TS in Takalar District uses the State Budget in 2018 and is implemented at the proposal of the Takalar Regency Regional Government. "EBT development in Takalar Regency is inseparable from the role of the Commission VII of the Indonesian House of Representatives and the Takalar Regional Government which are very active in accelerating the development of EBT in Takalar Regency," he said. "We hope the Takalar Regional Government will play an active role and initiative in coordination to implement future EBT programs. The Directorate General of EBTKE is ready to assist in the form of technical support to increase the capacity of the Regional Government apparatus for the development of EBT in Takalar," Wawan added. Regional Device Representatives in Takalar Regency convey a commitment to oversee the development process of PJU-TS. "Hopefully in the future the Central Government programs can reach Takalar Regency and we are ready to oversee the development process," concluded North Galesong Sub-District Chief, Parawangsa.